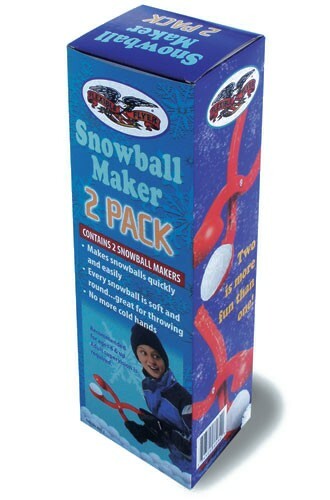 Our Snowball Maker makes perfect snowballs easily and quickly! It is made of a very durable plastic- High Impact Poly Styrene (HIPS) so it is built to last! Every snowball is soft and round...great for throwing. Say goodbye to cold, wet hands. This is recommended for ages 4 and up. It is made in the USA! Makes perfect snowballs easily and quickly! Made of a very durable plastic...built to last! Every snowball is soft and round. This is perfect for making snow forts in the winter or sand castles on the beach. The Snow and Sand Block Maker is one of those very basic toys which provides a lot of fun! It also encourages creativity! It is made with High Density Polyethylene plastic (HDPE) so it is light and durable. The molded handle prevents hands from being cold and wet. We recommend this product for ages 3 and up. Made in the USA! Perfect for making snow forts or sand castles! Molded handle prevents hands from being cold and wet. Made in the USA! Ages 3 and up. Our Snowball Maker makes perfect snowballs easily and quickly! This 2-pack can provide hours of fun! It is made of a very durable plastic- High Impact Poly Styrene (HIPS) so it is built to last! Every snowball is soft and round...great for throwing. Say goodbye to cold, wet hands. This is recommended for ages 4 and up. It is made in the USA! Every snowball is soft and round! Made in USA! Ages 4 and up. Our Snow Castle Kit is perfect for making snow forts in the winter or sand castles on the beach! It is one of those very basic toys which provides hours of fun and fosters creativity! It comes with 3 form shapes...a large block, a small block and a turret. Made with High Density Polyethylene plastic (HDPE) so it is light and durable. The molded handles prevent hands from being cold and wet. It is recommended for ages 3 and up. Made in the USA! 3 form shapes- large & small block & a turret! Basic toy which provides hours of fun and creativity! Recommended for ages 3 and up. Made in the USA! Kids love to be little helpers with their own tools! Now they can have a shovel just like mom or dad! Handle and shovel made with High Density Polyethylene plastic (HDPE) so it is light and durable. The shaft is wooden. It is recommended for ages 3 and up. This quality kids shovel is made in the USA! Little helpers will love their pint sized shovel! Light and durable plastic shovel with a wooden shaft! Foam Snow Prints provide an excellent winter outdoor activity. 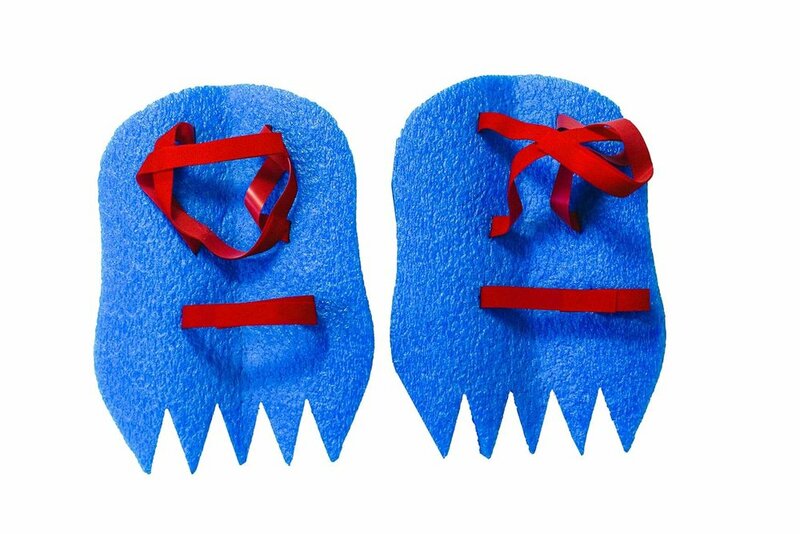 These foam snowshoes are a fun new toy for kids to use in the snow. Not only does it allow kids to walk on top of the snow, but kids will love making monsterlike footprints in the freshly fallen snow. The Snow Prints are lightweight which makes them easy to use. They are easy to slip on and take off. The adjustable Velcro style straps fit boots of all sizes. Kids will enjoy playing outside with them. Recommended for ages 4 and up. It is made in the USA!